Mazda North American Operations is recalling 48,814 model year 2009-2010 Mazda 6 vehicles sold, or ever registered in Connecticut, Delaware, Illinois, Indiana, Iowa, Kentucky, Maine, Maryland, Massachusetts, Michigan, Minnesota, Missouri, New Hampshire, New Jersey, New York, Ohio, Pennsylvania, Rhode Island, Vermont, Virginia, West Virginia, Wisconsin and the District of Columbia. The front cross member may corrode after exposure to road salt. Corrosion may weaken the mounting point for the passenger side lower control arm, unexpectedly changing the steering alignment and increasing the risk of a crash. Mazda will notify owners, and dealers will inspect the cross member and either install a side member and drain hose and apply wax to protect from rust, or install a drain hose and an improved front cross member, free of charge. The recall is expected to begin November 12, 2018. Owners may contact Mazda customer service at 1-800-222-5500 Option 4. 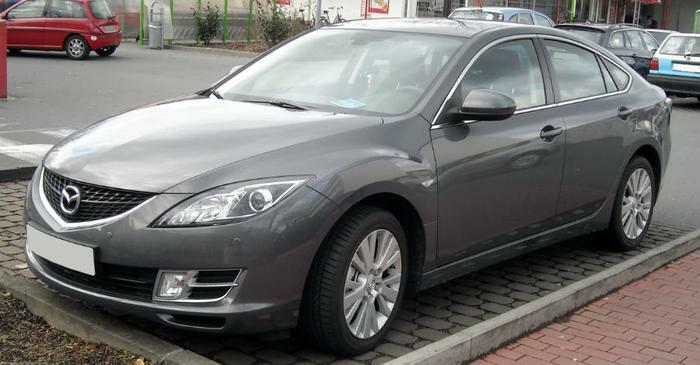 Mazda's number for this recall is 2818I.